Jeep Renegade Forum > General Discussion > Jeep Renegade General Discussion > What did you drive before your Renegade? What did you drive before your Renegade? I drove a 2005 black Kia Sportage. Got 10 good years and 145k miles out of it. Hoping the Renny lasts just as long. syzygy and renegade510 like this. I have had a black Kia Sorento for nearly 7 years. Great car with excellent 4wd system. never had a thing go wrong with it. The fuel consumption could be better though. The third one looks familiar but I have no idea what any of them are. renegade510, Jeepstress and rmajkowski like this. Last edited by pavl; 10-13-2015 at 04:17 PM. My last car was 2013 Ford Focus 5 speed hatch. Great little car but too low for my wife's back. She had a hard time getting in and out of it. Prior cars 2009 Malibu, vw convertible. 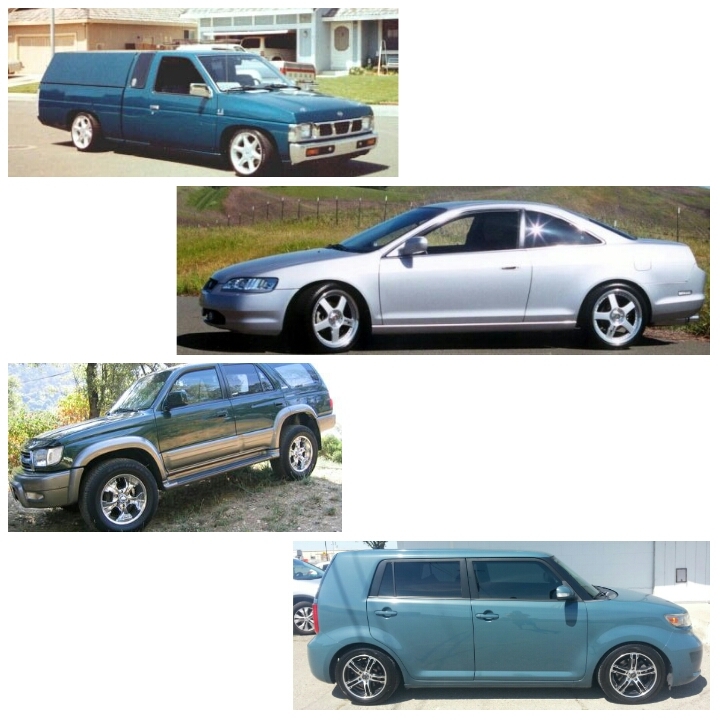 Have had lots of cars/trucks over the years, some 4wd. My favorite 4wd was a 1970 Toyota FJ Land Cruiser. Nothing ever could stop it. This is our first Jeep and we are really liking it so far. She has always and still dislikes Jellybeans so the Renegade works! My last 3 vehicles have been old school Cherokees and I still drive a '97.